The Philippine Consulate General in Toronto would like to seek your support by disseminating the attached letter advisory among your members. FOR FURTHER DETAILS LINK HERE "IPINOYCAN"
This event is slated for March 8, 2014 in Toronto. Exact details inside. Please join the Hamilton Filipino community in the 116th year celebration of Phil. Independence supported by all Fil. Cdn associations of Hamilton and surrounding areas. Event will be highligted by handing out of special awards and recognition to outstanding Filipinos including the lntroduction of candidates for up coming Miss & Mister Hamilton Filipino beauty and manly contest in October 2014.
children of the Filipino community to take part! I would love a chance to meet with you to discuss this opportunity further. “Today, I extend my best wishes to Filipino-Canadians and all those around the world celebrating the 115th anniversary of Philippine Independence Day. “Canada has a strong and active Filipino community of nearly 500,000 people, and it continues to grow. The Philippines is one of the largest source countries for immigrants in Canada, and Tagalog is Canada’s fastest growing language. “Canada’s Filipino community contributes immensely to our country in all areas of endeavour. In particular, in September 2012, I was proud to appoint Mr. Tobias C. Enverga Jr. as Canada’s first Senator of Filipino heritage. While in Manila on November 10, the Prime Minister will meet with Benigno Simeon Aquino III, President of the Philippines, to discuss bilateral trade and investment, security cooperation and regional issues. He will also partake in local cultural and community events. On November 11, the Prime Minister will travel to Hong Kong where he will meet with Chun-ying Leung, Chief Executive of the Special Administrative Region, with a view to further strengthening an already deep and historical relationship. He will also participate in a Remembrance Day ceremony and pay special tribute to Canadians who died defending Hong Kong during the Second World War. Canada is greatly enriched by citizens with ties to the countries being visited. The Philippines is now the top source of immigrants to Canada, with nearly 500,000 people of Filipino origin now residing in the country. Canada is also home to 500,000 individuals of Hong Kong descent. Hong Kong has the largest concentration of Canadians abroad next to the United States. H.F.C.C. Picnic for July13, 2013 at Edgewater Cove (Pavillion) is confirmed reserved. Requires payment payable to HAMILTON CONSERVATION AUTHORITY. to CARRIE HOBBS, 585 Van Wagners Beach Road, Box 2, Hamilton, Ontario L8E 3L8. Use of Hill Park gym is now approved starting Sept. 23rd 2012 till Dec. 16, 2012. Time is from 2:00 p.m to 6:00 p.m. Both courts available for our use basketball or volley ball. I felt glad and proud when I and my colleagues in the Consulate General shared in the festivity of your Independence Day Ball and met the members of the Filipino community in Hamilton. Your efficiency -- I fully agree with your arrangement of having all of Filcom join in one big Independence Day commomeration -- discipline and patriotic fervor are an inspiration to us all. I look forward to productive and meaningful working relations with your group. Rest assured that the door of your Consulate-General in Toronto is open to all our kababayans for whatever consular needs they may have. I would have loved to respond immediately that, yes, I could join the golf game but the Department of Foreign Affairs in Manila has asked all Heads of Posts in Canada and the U.S. to be in Manila for consulations at that week. So I have to send my regrets at this time but I am looking forward to future opportunities when I could enjoy with you the beautiful greens of Canada, and thusly inspired, would at last be blessed with an improvement in my game. With my best personal regards to you and your family, Mr. and Mrs. Cabilan, the HFCC and its 10 supporting organizations, and to all our kababayans and Filcom friends in Hamilton. The College of Physicians and Surgeons, like the College of Teachers try to act upon complaints swiftly, giving out penalties even before the physician or teacher is given due process in the court of law. Very often, the reputation of the accused is forever tarnished. Dr. Romulo Anastasio is an excellent family physician, one of the best in Hamilton. 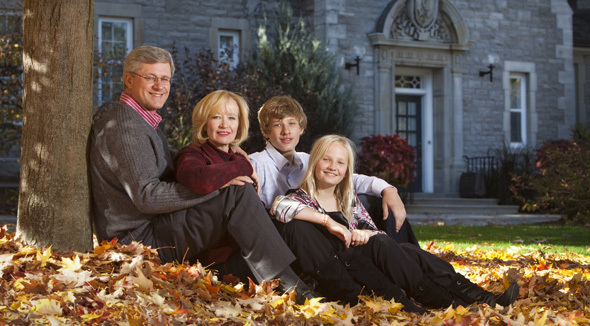 He has cared for my family for many years and we will continue to put our health care in his very capable hands. We find him very thorough and professional in dealing with his patients. Two years ago, he was even nominated as one of the best physicians in the city in the Readers Choice Awards given by the Hamilton Spectator and no one complained then. It will be very unfortunate if we lose a very good and dedicated doctor due to this article. 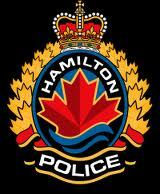 The Hamilton Police Service has received numerous reports of a telephone scam where the fraudster gains access to the victim’s personal home computer. The victim receives a phone call from an alleged Microsoft technician telling the person that there is a problem with their computer; usually told it is a virus. For more details link here Telephone-scam to the Police Media Release.